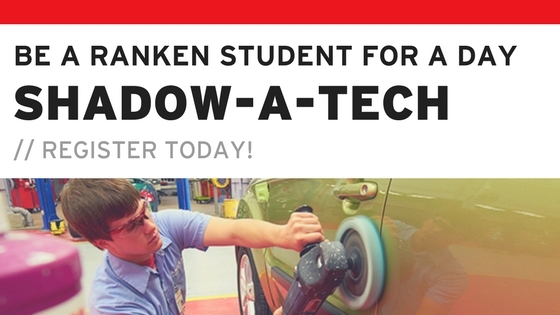 To kick off the 2018-2019 school year, all incoming Ranken students are required to attend New Student Orientation. The purpose of this mandatory event is to ensure that our incoming students are prepared to begin class this fall. This event is intended to adress any final details on the admissions checklist such as transcripts, diplomas, financial aid, testing, and registration fees. Students may also acquire their Ranken One Card, parking pass, required uniform and explore campus while they are here. Check-in begins at 8:30 a.m. and the first session begins at 9 a.m.
Friday, July 27, 2018 9:00 a.m. – 12:00 p.m.
At this time, guests will also have an opportunity to explore campus. If you plan on attending and are interested in staying in the dorms the night before, please contact LaTrina Rogers at 314-286-4824 or via email at [email protected] Space is limited.